Posted 10-19-2018 by Gigi Douban. A brief computer outage at state Department of Public Safety offices presented issues for some who wanted to update their drivers licenses ahead of the voter registration deadline on Monday. A statewide DMV computer outage Thursday morning prohibited some residents from updating their driver’s licenses just days ahead of Monday’s voter registration deadline. 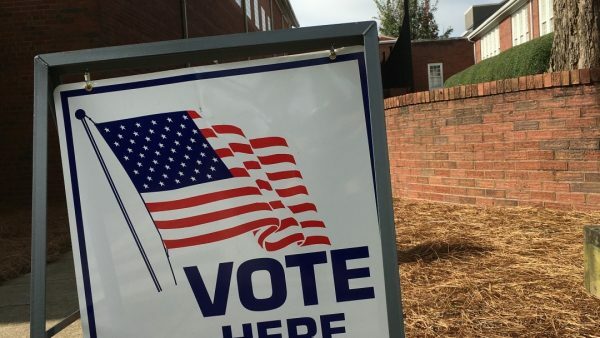 Voting rights advocates reported the outage yesterday, and said some have since been able to obtain state-issued voter ID’s at county boards of registrar. But it’s unclear how many were affected. The computer outage lasted 42 minutes, according to an Alabama Department of Public Safety spokeswoman, and was due to internet connectivity issues. In that time, at least a handful of residents wishing to update their driver’s licenses were unable to do so. Jenny Carroll, who teaches law at the University of Alabama and heads a committee examining statewide voter access, heard from some of the people who visited the DMV office on Arkadelphia Road. But she says there could have been more people who encountered hurdles. Most of the people who had trouble at the DMV Thursday were able to go to their county board of registrars later and obtain a state-issued ID card, Carroll said. Alabama Secretary of State John Merrill told WBHM he was made aware of the outage yesterday, but said based on the information he’d received, there was no issue. Merrill said the state law enforcement agency is responsible for the computers used for driver’s licenses and voter ID’s—not his office. The state’s voter ID law requires voters to present a specific type of photo ID at the polls –including driver’s licenses – in order to cast a ballot.